This is a weekend intensive course consisting of three consecutive sessions: 6-10pm Friday evening and 10am – 4pm Saturday & Sunday. You must be able to attend all three sessions. This weekend intensive course is suitable for anyone interested in glaze and colour development. Some prior knowledge about ceramics will help, especially with some specialist terminology so get Greg’s glaze book and read up a bit first! Essentially the course is suitable for anyone who would like to learn Greg’s method. Learn how to approach developing glazes and colours in simple, uncomplicated ways, without the need for the science! Learn about glaze materials, how they contribute to the glaze recipe and how to alter the recipe to suit particular temperatures or atmospheres within the kiln. Learn how to test glazes and colours in line blends and square blends. Matt, satin or glossy, bright or subdued colours, the options are endless and through testing and blending you will learn how to approach this complexity in an ordered and strategic way. 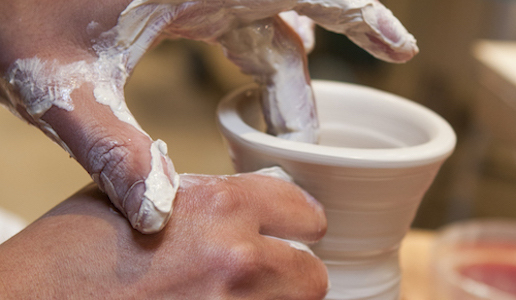 The content also addresses firing options and kiln styles, helping to introduce and de-mystify what happens in the kiln. Please note: you will be testing glazes using Midfire (cone 6, 1220c) in Oxidation atmosphere. 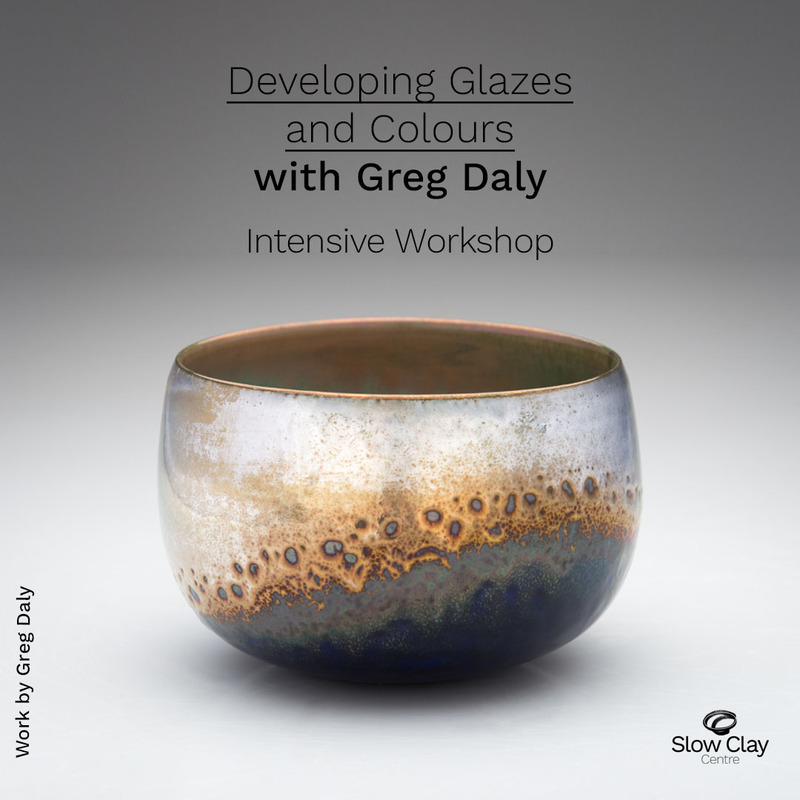 Greg Daly, an internationally known and respected Australian ceramic artist, specialises in rich glaze effects and is also the author of Glazes and Glazing Techniques (1995 Simon & Schuster), Lustre (AC Black) and Developing Glazes (AC Black 2013) . His work is represented in over 80 national and international art galleries and museums (including the National Gallery of Australia and the Victoria & Albert Museum, London), and he has won 36 national and international awards. He is about to hold his 100th solo exhibition and has exhibited in over 200 international and national group exhibitions. In 1999 he received an ARC grant to research the effect of firing cycles in the development of copper red glazes. Greg is a member of the International Academy of Ceramics (Geneva), past president of Craft Australia and was head of the Ceramic Workshop, Canberra School of Art, ANU. *”Developing Glazes” is available through Book Depository online. KEEP UP: sign up to our monthly e-newsletter to keep up with all new course, workshops and events.